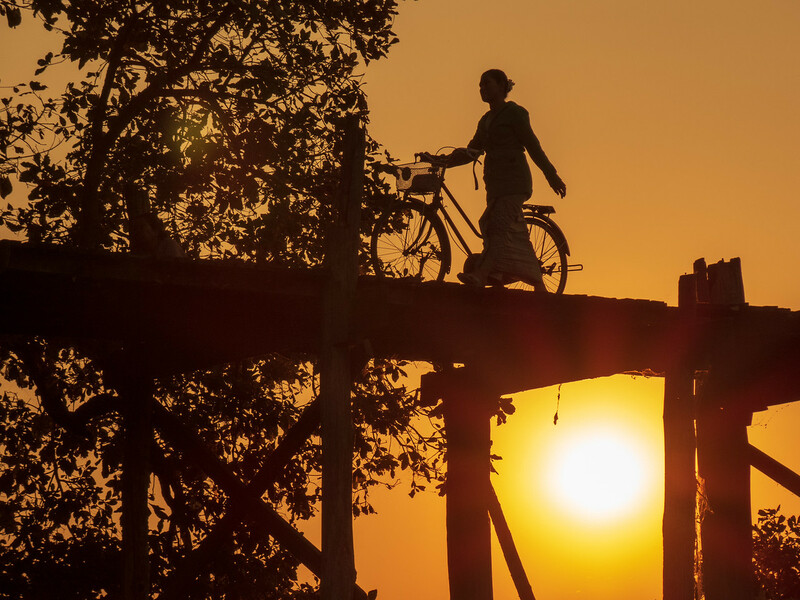 The Ubine Bridge (U Bein Bridge) is one of the most photographed sights in Myanmar and with good reason. Not only is it beautiful the traffic that crosses the old teak structure is fascinating to watch as is the life that goes on around the lake at its base. (Technically the bridge isn’t located in Mandalay but in the township of Amarapura which has been taken over by urban sprawl.) The luxury of spending and entire afternoon photographing this scene without having to worry about the clock or packing more and more in because of tight time constraints is one of the things I love most about this retirement travel adventure. Gorgeous sunset shot. I wonder where she is going to and where she has come from. Every picture tells a story as they say.